If you're planning to celebrate the Fourth of July or New Year's Eve in South Carolina and want to purchase some fireworks to light up during the festivities, it's important to know the state laws regarding pyrotechnics displays. As a general rule, South Carolina fireworks laws are pretty loose, especially compared to the stricter regulations of its neighbor North Carolina. In fact, almost all consumer-grade fireworks are legal in the state. However, you must be 16 years old to purchase any fireworks in South Carolina. 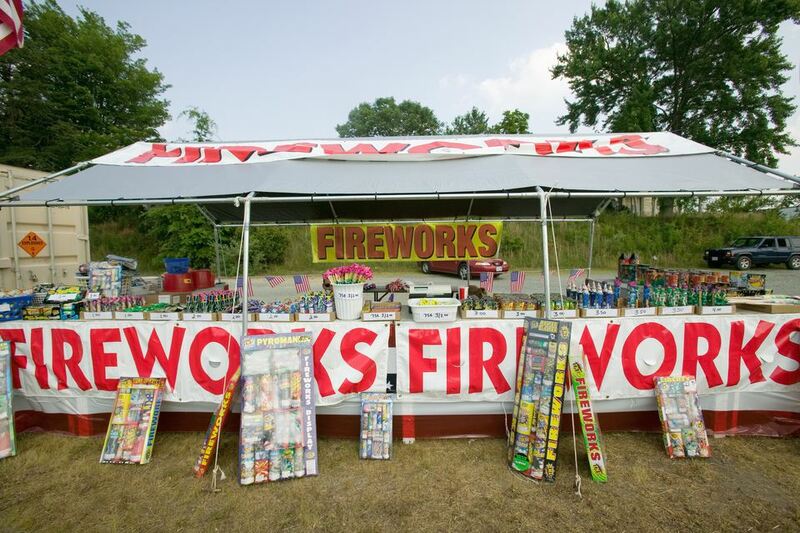 They cannot be sold from a tent, canopy, malleable structure, or automobile, but should be purchased from a licensed and registered fireworks stand or store instead. If you plan to put on larger, professional fireworks shows in South Carolina, you will need to apply to the State Fire Marshal at least 15 working days before the show. There is an insurance requirement, and you can find out more information on the official state website. South Carolina fireworks laws aren't just less strict than North Carolina, they're far less strict than most states. In fact, everything that's not banned on a federal level is permissible for use in the state including bottle rockets, mortars, spinners, cakes, and aerial fireworks. It is pretty common for residents from North Carolina (and other states) to slip just across the border to purchase the higher grade fireworks, but remember that it is still illegal to possess many South Carolina purchased fireworks in other states—be sure to check North Carolina fireworks regulations if you plan to buy your pyrotechnics in the southern state and bring them back north. There are a few fireworks that you can't have in the Palmetto State. Large explosive firecrackers like M-80 and Cherry Bombs are illegal in the state as well as on a federal level, and small rockets are specifically prohibited if they are less than one-half inch in diameter and less than three inches long. Each municipality sets the curfew for fireworks. In some counties, the curfew is extended on the Fourth of July and New Years Eve. Check with the town website or local paper for this information. Since South Carolina fireworks laws are pretty loose, many people assume that they're much more dangerous, which is not necessarily the case. As long as fireworks are treated with respect and rules are followed, injuries to people or property can be reduced.